The Prop-Up Bed Wedge is a foam wedge which will prop you up in bed and comfortably support you at two different angles. Removable cover supplied. 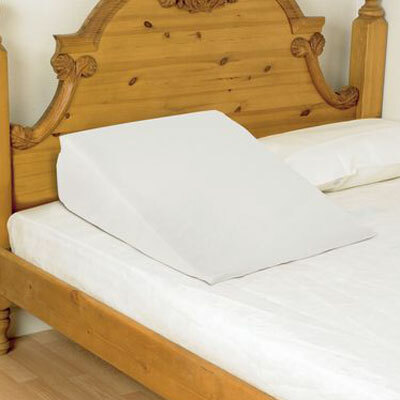 The Prop-Up Bed Wedge is a foam wedge which will prop you up in bed and comfortably support you at two different angles. Removable cover supplied which is made from cotton material. Product Size 10 x 22 x 22½"